Personligt och politiskt om Serbien före och efter kriget, i inträngande, imponerande och välförtjänt prisbelönt dokumentär. En låst dörr i familjens lägenhet i Belgrad blir ingången till denna fascinerande djupdykning i Serbiens och Jugoslaviens politiska historia. Filmaren Mila Turajlic (Cinema Komunisto, GFF 2012) och hennes mamma Srbijanka Turajlic, före detta universitetsprofessor och välkänd demokratiaktivist, inleder en initierad men också humoristisk diskussion om Tito, kriget och det samtida och framtida Serbien. Det handlar om vad som finns på andra sidan dörren, men också på andra sidan rubrikerna om krigets offer och förbrytare där dissidenternas och de intellektuellas historia sällan har lyfts fram tidigare. Mila Turajlic har återigen grävt guld i filmarkiven, men här är det ändå det starka personliga tilltalet som övertygar mest. Filmen vann finaste priset på världens största dokumentärfilmsfestival i Amsterdam. Mila Turajlic, born in 1979 in Belgrade, Serbia, is a documentary filmmaker from Belgrade, Serbia, whose film Cinema Komunisto premiered at IDFA and the Tribeca Film Festival, and went on to win 15 awards including top prize at the Chicago International Film Festival in 2011. 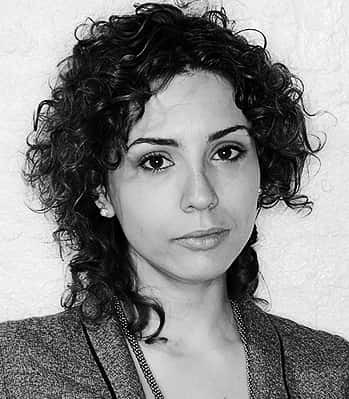 She is an alumni of Eurodoc Berlin Talent Campus, Discovery Campus, and teaches at Archidoc and the Balkan Documentary Center. Mila Turajlic produces the Magnificent 7 Festival of European Documentary Films in Belgrade since 2005, and is a founder and first president of DokSerbia, the association of Serbian documentary filmmakers. I was born in 1979, a year old when Tito died and was 11 years old when Milosevic came to power, 12 when the war in the former Yugoslavia started, 16 when it nished, 20 when NATO bombed us, 21 when we nally got rid of Milosevic, 24 when our Prime Minister was assassinated, and today at the ripe old age of 37, I want to speak of my country, from a very personal angle, and from a very precise point of departure - the place where I live. As I grew, I have come to feel that the personal impulse to act is inspired less by lofty ideals of freedom, justice and equality, and more from the small things we personally hold dear - we act to protect the fabric of our life, the family that gathers on Christmas Eve, the neighbors we grew up with, the trees in front of our house, the roots that connect us.